“It’s 4:45” I screamed when my alarm went off, an hour later than I intended. We were due to leave at 5am and I hadn’t packed. Thankfully, I’d had a shower the night before, so I was ready in about 20 minutes. There was a slight hiccup with Emma stuck in the lift briefly but she made it out alive. At the airport I had forgotten I’d thrown several things in my pockets with the speedy pack. I remembered some coins as I was being x-rayed and dropped my hands to pull them out. This earned me a full pat-down process, including hands on the inside of my waistband and all the way up the inside of my legs but on the outside of my trouser pants. On board, the hot food ran out at the row before us but the cold food was adequate. The main thing was that the flight was fast, given the mileage, and we travelled safely without any issues. As we waited for our hotel shuttle bus we enjoyed the warmth of 14℃, it was like they just switched the negative off in front of the temperature. We put the gain of three hours due to crossing from the east coast to the west to good use: sleep. 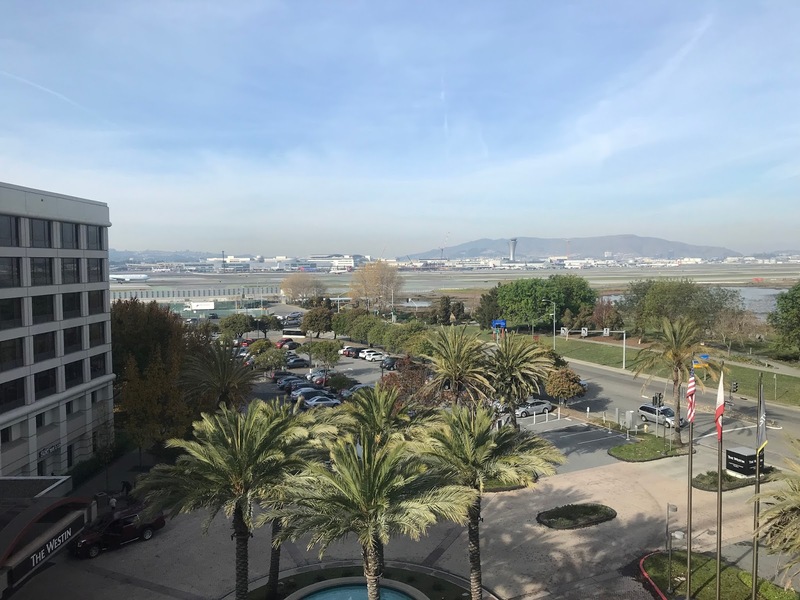 Here’s the view from the hotel with the airport in the distance. Tomorrow we will head into San Francisco during the day before we board our flight back home tomorrow night.